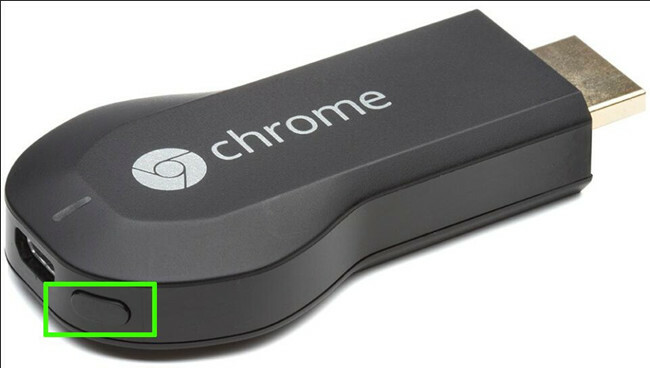 Chromecast is a recommendable HDMI dongle tool to cast from Google Chrome, or video platforms like YouTube, Netflix to TV. 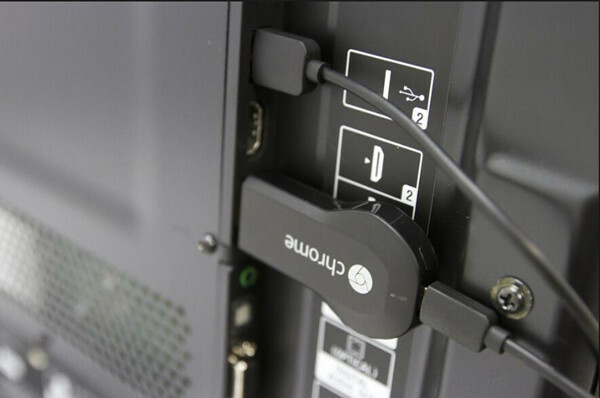 Especially Chromecast Ultra, has been increasingly popular among users with its 4K Ultra HD. But in some cases, you have no choice but to factory reset your Chromecast. Why Do You Reset Chromecast? For some clients, you noticed that after Chromecast setup, various Chromecast problems pop up, ranging from Chromecast no devices found or Chromecast no WIFI connected to Chromecast black screen. In such cases, you may want to reset Chromecast to its factory settings. Either you wish to restore Chromecast setting to fix Chromecast not working error or you just hope reset Chromecast WIFI or other network connection, this post will go to all lengths to show you how to reboot or reset your Chromecast. How to Reset a Chromecast? In terms of resetting Chromecast, it is up to you whether to restore Chromecast from the Google Home App or from the Chromecast hardware to do a physical reset for the Chromecast. So long as you have connected Chromecast to the HDMI TV, you would have downloaded a Google Home app on your device like mobile phone, laptop, etc. as this app is a prerequisite for setting up Chromecast except that you turned to chromecast.com/setup for help. On this occasion, if you feel like resetting Chromecast to troubleshoot Chromecast errors, you can get down to this Google Home app. Here whether your device is on Android or iOS, you can all refer to this procedure below provided that you have used Google Home App. 1. Firstly, ensure Chromecast is connected to WIFI or any other network connection and check whether the TV is turned on and connected to Chromecast will. Choose to turn on the PC to check if there is anything wrong with it. Here it is likely that Chromecast can’t connect to WIFI can be fixed after you tried to reconnect it again. 2. Open Google Home App from your device. 3. In Google Home App, click the Device icon on the top right corner of this Chromecast app. 4. Select the device you feel like resetting Chromecast for it if you have connected to more than one devices. 5. Then in Devices window, hit the three-dot icon to open Settings. 6. Then in the pop-up menu, click Settings. Here it is available for you to Reboot Chromecast for your iPhone, iPad, mobile phone or computers. Tips:What’s the difference between reboot and reset? When it comes to rebooting and resetting, people can easily get confused. So for the sake of your need, you need to know that reboot or restart is different from reset, not only confined to Chromecast but many other settings, such as factory resetting Windows 10. Here reboot is just to turn off and then turn on your PC without eliminating any data on your device, whereas reset aims to erase all the settings set for this device and won’t let you undo the reset action. 7. In Device settings, click Factory reset. 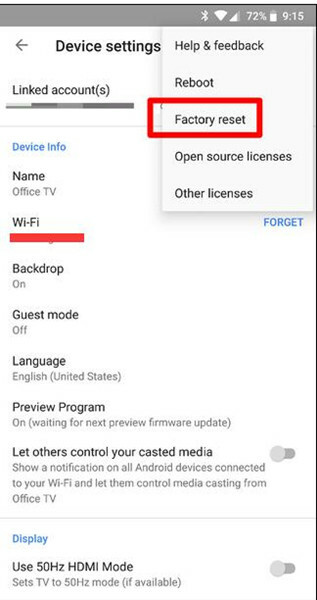 Here you are entitled to check your Chromecast name, connected WIFI, Language, Guest mode condition, etc. It is feasible that you change Chromecast WIFI or name in Device Settings. But after you choose to restore to factory settings, all these configurations will go away without a track. 8. Confirm to do a Chromecast reset by clicking OK in the confirmation window. Wait for several minutes and then you will see all the Chromecast settings cleared off. 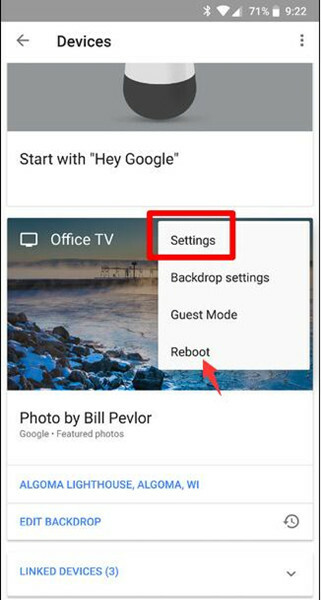 If here you decide to restart Google Chromecast instead of resetting it, hit OK to finish it as well, which will just close and then re-open the device. Now, you won’t complain why Chromecast factory reset not working and perhaps can’t connect to Chromecast has been fixed after the reset. For some people, you may find that when you act with the steps in the first method, upon hitting Factory reset option, Chromecast factory reset is unavailable or you even can’t open Google Home App on your mobile device or iPad or Tablet. Luckily, you can also resort to this method to take advantage of the Chromecast dongle device itself to physically reset it. No matter you are using Chromecast first generation or second generation, or Ultra, there does exist a reset button available for users in case of Chromecast no signal or black screen. So let’s start to fiddle with Google’s new HDMI dongle. Keep Chromecast plugged into the TV and then press the reset button behind it for about 25 seconds. In the middle of holding down the reset button of Chrome cast, you will observe the indicator light flashes slowly and then blinks more quickly as it is on the verge of resetting. And when it gets to a certain point, the blinking light will turn to a solid LED light, which means that reboot or reset begins and your TV will also go blank for Chromecast reset. The time you restore the Chromecast settings to the original ones and Chromecast reboots, if you would like to use Chromecast again, you need to set up it again. Only after settings up can you now cast videos or music to the Chromecast TV. All in all, they are mainly two options open to you regarding how you can remove Chromecast settings, both ways are useful to reset Chromecast, either from Google Home App or from the hardware. Hope you can enjoy the mirrored movies from the mobile phone to TV as you like after fixing Chromecast problems by resetting it. How to Connect Laptop to TV Via HDIM or VGA on Windows 10? Prev Post How to Set up Chromecast?